We sincerely believe that this is the most realistic topical application that you will ever find-guaranteed! Doctor Ben's Weathering Pigments are intensely strong but easily thinned with Isopropyl Rubbing Alcohol (or water) to reduce its preferred intensity. 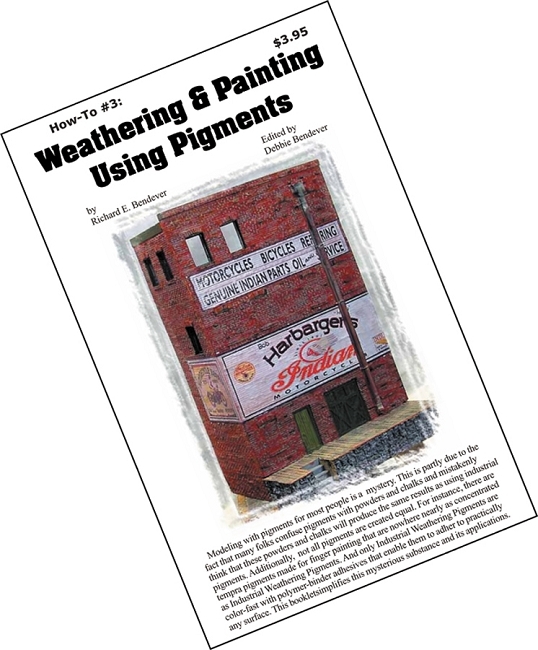 Using Doctor Ben's Industrial Weathering Pigments is ideal for adding the realistic weathered look by applying this product dry with a stiff hobby brush or using the lid for the jar to create a pallet from which various intensities may be created to flow into cracks and crevasses creating the illusion of shadows and depth. 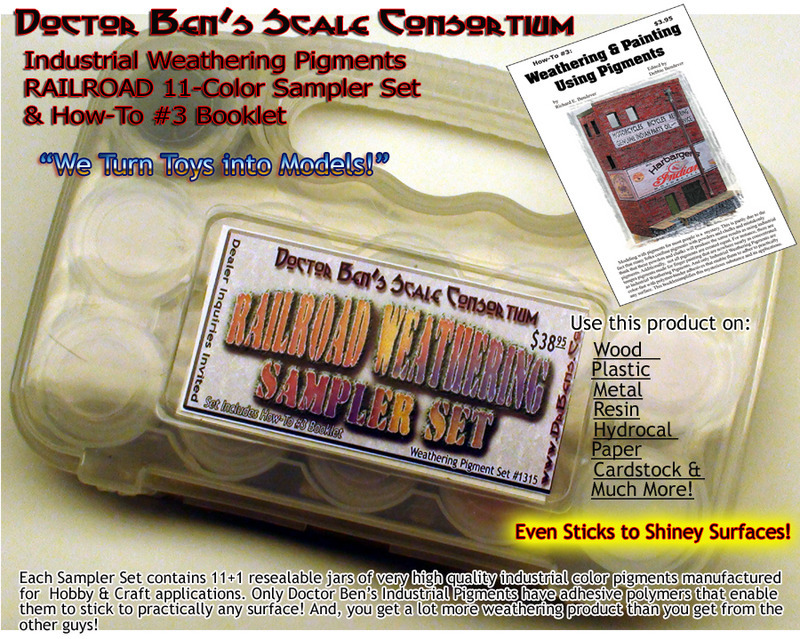 This 11-Color Weathering Pigment Sampler Set consists of eleven assorted 1oz pigments which may vary slightly from the pigments listed in the image. Each of the eleven 1oz plastic jars are labeled with the Doctor Ben's Pigment name and part number to easily refill the container when empty. The twelfth jar may be used for storing Isopropyl Alcohol (not included) or another pigment.